No good deed goes unpunished in Niagara Falls. Promoter extraordinaire Rick Crogan produced two of the most successful concert events in Niagara Falls history without a dime of taxpayer money, but his independence insulted the sensibilities of certain maligners. A witch hunt ensued. The media firestorm that accompanied the arrest of local promoter Rick Crogan on felony charges in June has pretty much turned out to be much ado about nothing. Crogan pleaded guilty latelast week to a charge of petit larceny, a misdemeanor. He was sentenced to perform 50 hours of community service and given a one year conditional discharge by North Tonawanda Judge William R. Lewis. In October, Crogan paid $10,000 in restitution as part of the plea agreement. 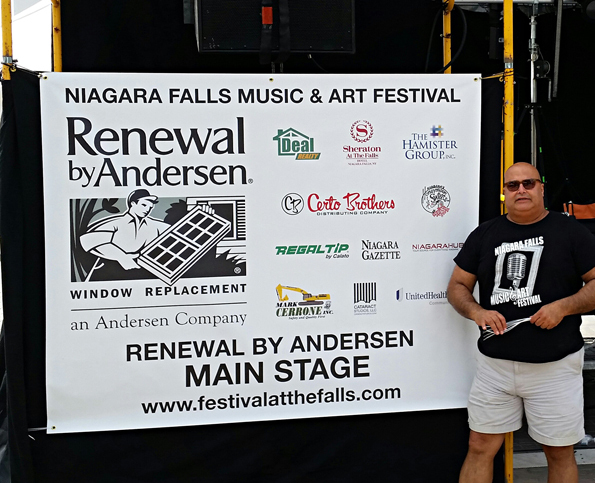 Formerly the head of the Main Street Business Association, Crogan left that organization to launch the Niagara Falls Music & Arts Festival, a for profit enterprise. The festival was a hugesuccess, drawing 18,000 people in 2013 despite the fact that no big name musical acts performed. When Niagara Falls Mayor Paul Dyster offered Crogan $30,000 to help underwrite this year's festival, Crogan turned him down flat. And that may have been the beginning of his problems. Up popped a woman named Becky Marchetti, who had worked as a volunteer on the festival. A strong supporter of Dyster, Marchetti is also involved with Niagara Rises, an organization that hasbacked the mayor and accepted city money in the past. Marchetti went to police claiming Crogan had taken $15,000 in festival money donated by a local business and spent it on himself, anallegation Crogan vehemently denied. He was charged with third- and fourth-degree grand larceny and first-degree scheme to defraud, all felonies, after what authorities said was a four-month investigation. Dyster immediately announced the arrest on his Facebook page along with what he said was a mugshot of Crogan following an alleged arrest on unknown charges in Longwood, Fla., in SeminoleCounty, way back in 1996. Perhaps coincidentally, the Seminole Tribe of Indians owns the Hard Rock Cafe, competitors of Crogan for outdoor festivals and music events in Niagara Falls. Instead of being praised and honored for creating an event that “set the night on fire” in Niagara Falls, Crogan was attacked by people with political influence and charged with three felonies that prosecutors later learned they could never prove. When Crogan wouldn’t back down, they dropped the felonies and gave him a single shoplifting charge. The judge gave Crogan a conditional discharge. All this pain and suffering for Crogan, who really did nothing wrong, but maybe accidentally mislead a few people into thinking his operations were not for profit. But let’s be clear, no one delivered any money to him under false pretenses and no one lost any money. This should have never been prosecuted. Florida police records show Crogan was never convicted of any crime in connection with the purported 1996 mug shot. Reaction from Dyster's Facebook friends was swift and pretty brutal. Dozens commented that the mayor was attempting to convict the festival promoter without the benefit of a trial. 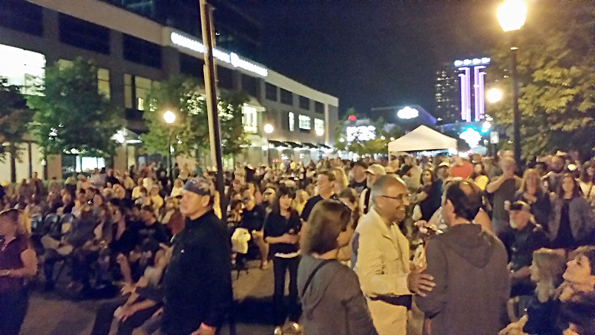 "Let me clear--the City has not supported the festival financially, but lots of good people have a lot of time, money and effort invested in making this event a success," Dyster respondedlamely. "It has been and I hope will in the future be a positive thing for the City. The volunteers associated with the festival are trying to keep something positive happening hereregardless of the outcome of this situation. I shared this post because I was hoping someone could shed some light on previous history." To this day, Dyster has not revealed where the purported mugshot came from, but there can be little doubt that the Crogan investigation was politically motivated. While the Hard Rock Café has never had to account for the more than $700,000 in taxpayer funding it has received for its downtown concert series, and Idaho promoter Mark Rivers was neverasked to account for the $480,000 in public money he got to stage his disastrous 2011 Holiday Market fiasco here, Crogan's personal bank records, along with those of the festival were seizedand examined by a forensic accountant. Unsurprisingly, Dyster was a vocal advocate of both the Hard Rock concert series and the Holiday Market. And right up until Crogan turned down his offer of a public subsidy, he was also astrong supporter of the Niagara Music & Arts Festival, a fact underscored by an enthusiastic letter he wrote that was entered into evidence at the sentencing by Crogan's attorney, Joseph L.Leone Jr. It's an old saw among prosecutors that you can indict a ham sandwich, but they know better than most that getting a conviction is a different matter entirely. Still, to have three felonycounts reduced in a plea agreement to a single count of petite larceny, a charge that would be brought against someone who took a pack of cigarettes from a convenience store, is virtuallyunheard of. For his part, Crogan said he accepted the deal only to spare his family the ordeal of a lengthy jury trial. The future of the festival is uncertain at this point, he added. "We have not decided on anything on the status of the festival right now," Crogan said outside the courtroom. Judge Lewis said he was impressed by materials submitted to the court on Crogan's behalf, including more than two dozen letters attesting to Crogan's character. "I believe that your client is a good citizen who made bad choices," Lewis said in court. The strange case of Rick Crogan offers further evidence that, in Niagara Falls at least, it's not what you do, it's who you are. And where's the justice in that?